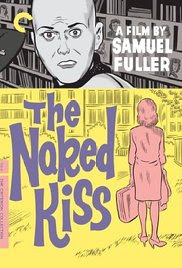 Highly regarded film is ultimately a sleazy piece of exploitation made by a name director., Samuel Fuller. As much as cineastes want to dress the film up, it's no better than any number of similar piece of trash cinema that played in cinemas across America at the same time. This isn't to sell the film short only to say that the film isn't quite the work of art many have implied it to be. Were the film not ultimately about a woman who kills a child molester could say that watching the film and it's excesses is fun but the subject matter and the unrelenting oppressive atmosphere makes it kind of difficult to watch. This is a dark film about a dark subject. Interestingly Jarmusch and Kent Jones who spoke to Jarmusch at NYFF kind of made a the twists and turns of the plot into a joke. While most certainly when detached from the film itself it can be viewed as humorous but seeing it in actuality makes it less funny.